If there is one place that can still be called heaven on earth, it’s Jammu and Kashmir, mostly due to the unexplored and untouched beauty of the state that makes it a tourist’s dream destination. There are places in the state those are hard to reach due to the weather as well as the scanty means of transport, and maybe that is the reason why this region has always stayed to be a traveler’s dream. Some of the destinations that fall in the category of hard to reach places include some villages in the Leh - Ladakh district of the Jammu Kashmir state. The regions there are scenic as well as rusty and untouched and that is why it is on the must visit list of every traveler and tourist especially in India. Last year in July / August 2015, I got a chance to explore this heaven on earth with my family. In this travelogue, I will be sharing my experience visiting one of such lesser known village in Nubra valley known as Turtuk. Such a beautiful village located at India Pakistan border was opened for tourist in 2009. Early morning we started our drive towards Nubra valley from Leh via Khardung la and our plan was to reach Turtuk by evening. Road condition was awesome except 4 to 5 KM stretch near Khardung la which took around an hour to cross the pass. We reached Hunder monastery by noon and after small break at Diskit & Hunder sand dunes, we started our drive to Turtuk village. Our driver Mr. Gulam Nabi was very much familiar with the entire region as Turtuk is his home town and his entire family is still staying at this beautiful village. We reached Turtuk by late evening and our stay was already booked at one beautiful home stay equipped with basic amenities. Next day, we got up early in the morning and explored some of the most beautiful places around Turtuk like minarets and mosques, the royal house of the Yabgo dynasty, the ruins of pun khar. After having Lunch, we started our drive towards Nubra valley. 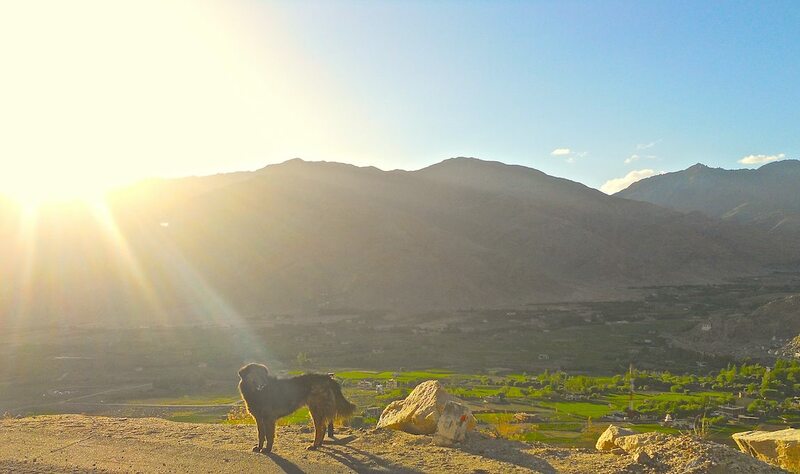 Here is the more information about Turtuk that will help you to add this lesser know place in your travel itinerary in your next Ladakh trip. A place that needs to be mentioned in Leh district of Jammu and Kashmir is Turtuk, a small village that lies on the banks of the Shyok River in the Nubra valley region and consists predominantly of Muslim population. The village is a gateway to the Siachen Glacier and consists on the line of control to the Pakistan occupied Kashmir. The place has vast greenery and serene beauty and is a hidden gem due to its spectacular flora including a wide number of apricot trees.The place has recently opened up for tourists and is still unexplored. This is the northernmost village of the country that had long been a part of Pakistan till India reclaimed it in the 1971 war. Thus, this is the last village up the region where tourists are allowed from 2009 and that adds to the fun of visiting this place. How to Reach Turtuk from Leh? The village is almost 220 km. from the Leh city and there are no proper means of transport to reach there except for the roadways. I inquire with our driver who told that, state transport bus used to run once a week from Leh to Turtuk. It is best to reach the place with a bike or hired taxi as the roads are most suited for them and the journey will take 8-9 hours. You can visit the village by crossing the Khardung and Diskit towns from where you may be able to find shared taxis. 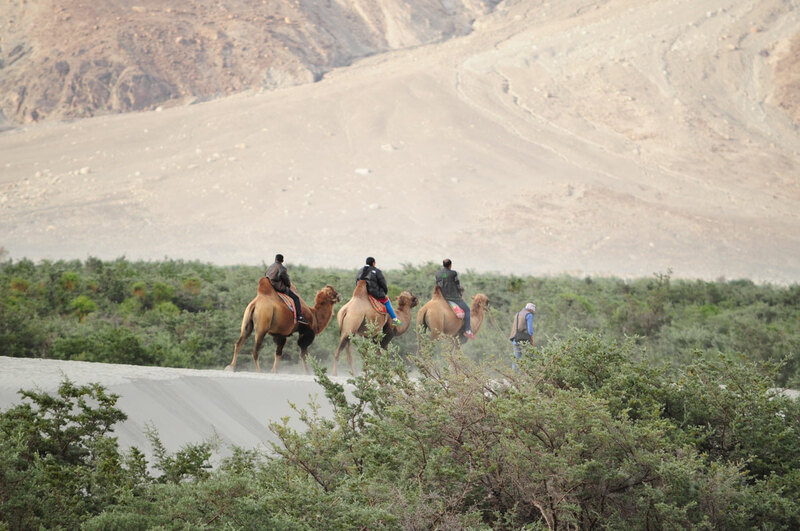 You may also be able to find public buses from Diskit but if you want to explore the serene beauty of the place especially between Diskit and Turtuk, you should definitely go with your own bike. 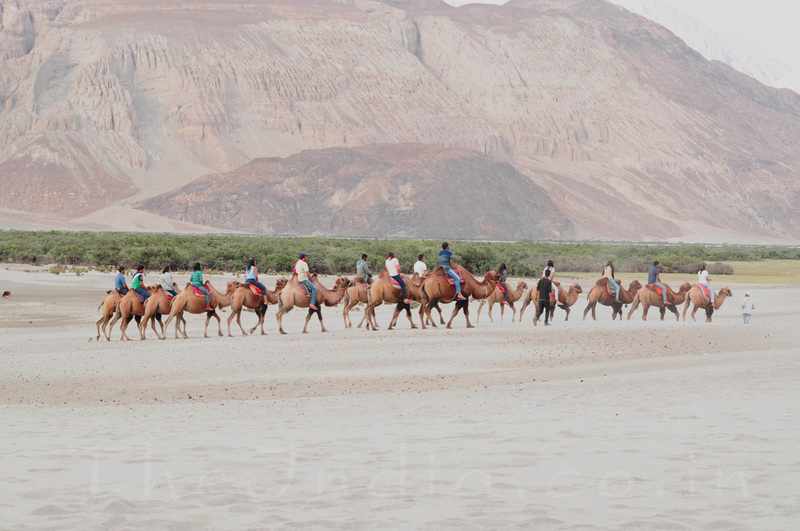 The path has mesmerizing sand dunes in Hunder and the path alongside the River Shyok is the best part of the journey since you will get to see the clearest blue waters there. In the Leh - Ladakh region, there are some places from where you could rent a bike. You could rent the Royal Enfield, which can take the tough roads and is fit to be driven in the terrain. You can easily get Bike from Leh city at just 800/- to 1500/- INR per day depending upon vehicle type. Don’t forget to keep extra fuel can with you as you will hardly find any fuel station on this route. 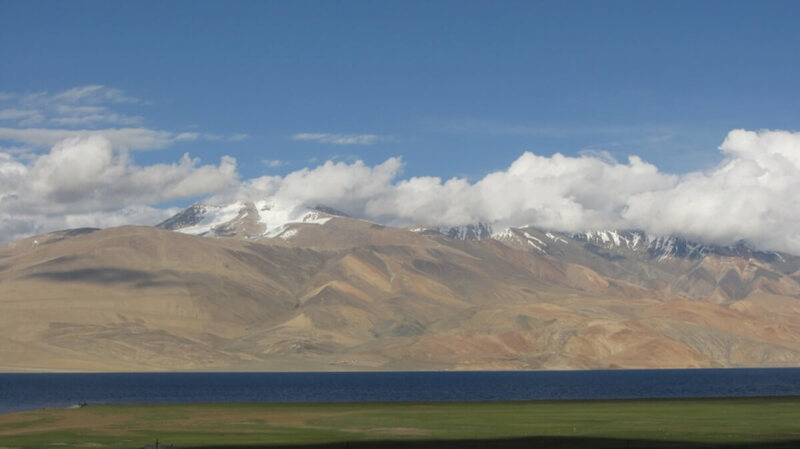 Similar to the rest of Leh Ladakh, Turtuk is also the genuine Himalayan region, and is extremely cold. The place experiences snowfall from December to March. April to September is the summer months when the weather is favorable and the temperature gets pleasant. Thus the best time to visit the region is the summer months from April to September. The region does not have many travelers throughout the year and thus you can relish the weather and the beauty of the valley and the Shyok River. The place is highly worth a visit because it is a place that continues to follow the Balti culture of Pakistan and the place has extremely warm and hospitable Muslim locals who would make you feel at home there. You can also explore the village and its culture more closely by staying in the villages and by building up camping sites in the region. The place has little in terms of facilities like cell phone network and they have frequent electricity cuts that will make you realize you are in one of the most unexplored and difficult places in the country. Turtuk has some great places to explore like the 16th century Minarets and Mosques, the Royal House of the Yabgo dynasty, the ruins of Pun Khar, K2 Peak’s view, and the villages that can be explored through camping and cultural tours. So whenever you happen to plan a trip to Leh-Ladakh, do visit Turtuk. While you visit there, do enjoy the mountainscape, walk though the valley, cross the Khardung La pass, buy Pashmina shawls and do visit the world’s highest air strip from Thoise to Turtuk.